The 2016 MINI Clubman was officially unveiled at the Frankfurt Auto and although we do not know all the details about the latest family-oriented MINI model, it seems clear that MINI is eager to become a manufacturer capable of reaching the masses. The 2016 MINI Clubman was officially unveiled at the Frankfurt Auto and although we do not know all the details about the latest family-oriented MINI model, it seems clear that MINI is eager to become a manufacturer capable of reaching the masses. In order to do so, the British manufacturer built a Clubman that is larger and better suited to the realities of consumers. 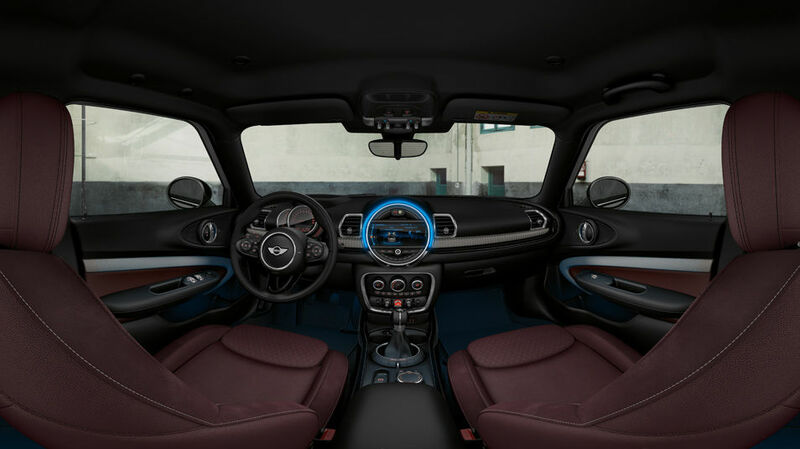 This means that the new MINI Clubman now has four doors that open in a more traditional fashion in order to make things easier when climbing in or out. 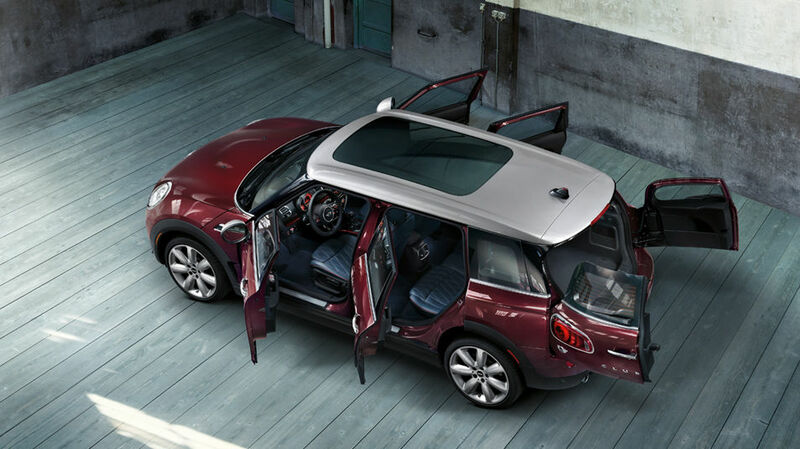 It also means that the new Clubman offers more space, especially in the back. Indeed, leg room increases considerably, as does the available space for your head. It is now much easier to have passengers in the back seat and the Clubman is now a true family car. More specifically, it gains 26 centimeters in overall length. It also measures 27 centimeters longer than the MINI Cooper Five doors, preserving a significant difference between the two models. 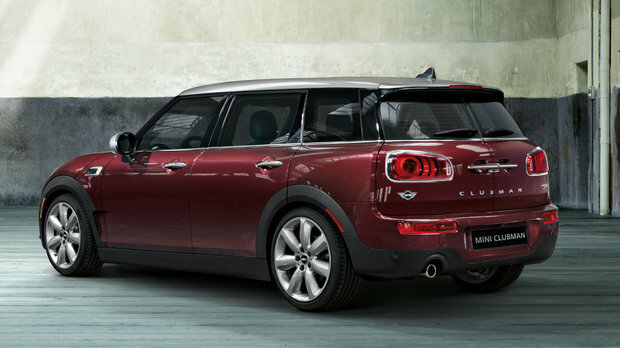 In terms of wheelbase, the 2016 Clubman adds 10 centimeters. This increase in size allows it to accommodate five people now, again with the goal of making it a real vehicle fit for everyday family life. In the trunk, cargo capacity is now 350 liters while total volume increases to 1,250 liters once the rear seat lowered. 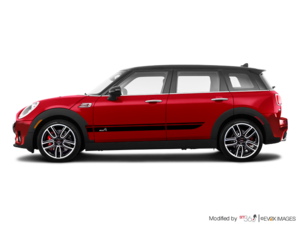 Despite its larger size, the 2016 MINI Clubman remains an authentic Mini with round headlights and an overall design that let’s everyone know who made this car. Under the hood, the MINI Clubman is powered by a standard 1.5-liter three-cylinder turbo engine developing 134 horsepower and 162 lb-ft of torque. The other option, offered in the MINI Clubman S, is a four-cylinder turbocharged 2.0-liter unit that delivers 189 horsepower and 207 lb-ft of torque. These engines can be paired to a six-speed manual gearbox, or a six-speed automatic in the base Clubman. The Clubman S gets an eight-speed automatic. It takes about 7.2 seconds to reach 100 km/h with the Clubman S.
Despite all the changes, the 2016 MINI Clubman promises to behave just like a MINI should. 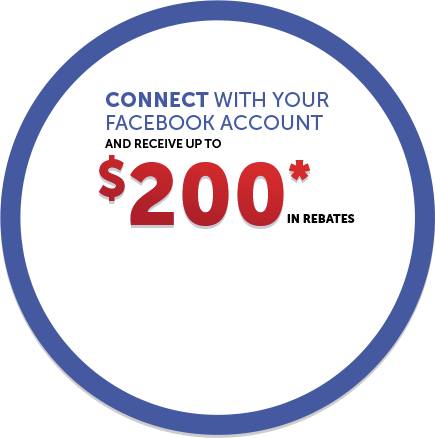 This means that it will still be a blast to drive, wherever you are. 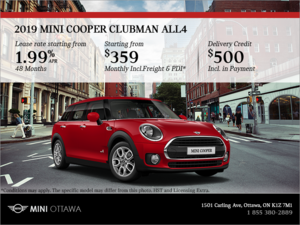 For more information, contact us today at MINI Ottawa!